Capping off a triumphant year of live shows worldwide and the critically acclaimed “in • ter a • li • a” (Rise Records), AT THE DRIVE-IN has yet another surprise in store for fans: available exclusively for Record Store Day’s Black Friday, the band will be releasing “Diamanté” – a 3-song EP on 10-inch vinyl via Rise Records, out November 24th. Ahead of the EP’s release, the band offers a cryptic message behind ‘Diamanté‘: “How do you weaponize the insatiable thirst for life among vultures? How do you deprogram the coroner dissecting hiatus ? What light beckons you from the sewers of suggestion? Is your instinct extinct ? Or does it hide in the flash burn of counterfeit automatons? 5 boys with guilty slingshots swaying to the Midwitch Sound. Blinded by the DIAMANTÉ”. ‘Diamanté‘ will only be available at exclusively at your local independent record store on Record Store Day’s Black Friday (November 24th)—to find yours, head on over to recordstoreday.com. 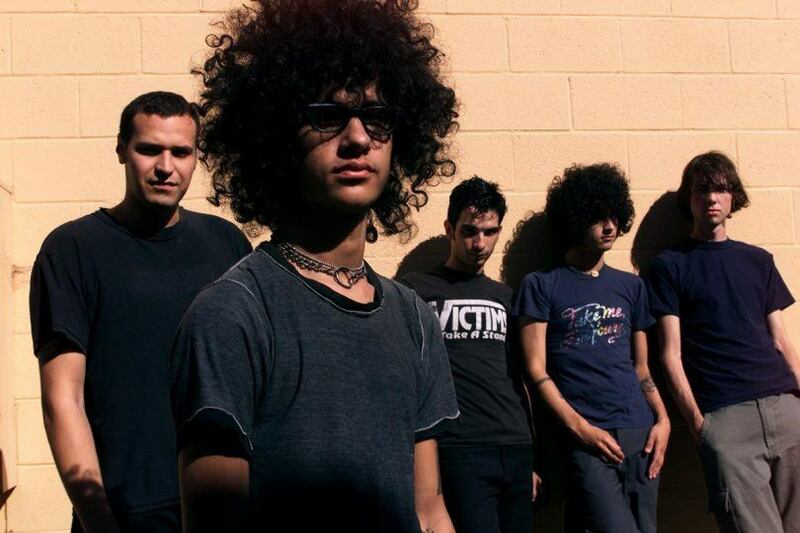 At The Drive-In have announced their first EU headline tour following the release of their critically acclaimed comeback album, in “• ter a • li •a” in May this year. Tickets will be available from Friday, September 22nd at 9am (GMT) from www.atthedriveinmusic.com/tour. Support comes from noise-rock duo, Death From Above and Le Butcherettes, the Mexican garage band who will also join At The Drive-In. THE STONE announce new album!